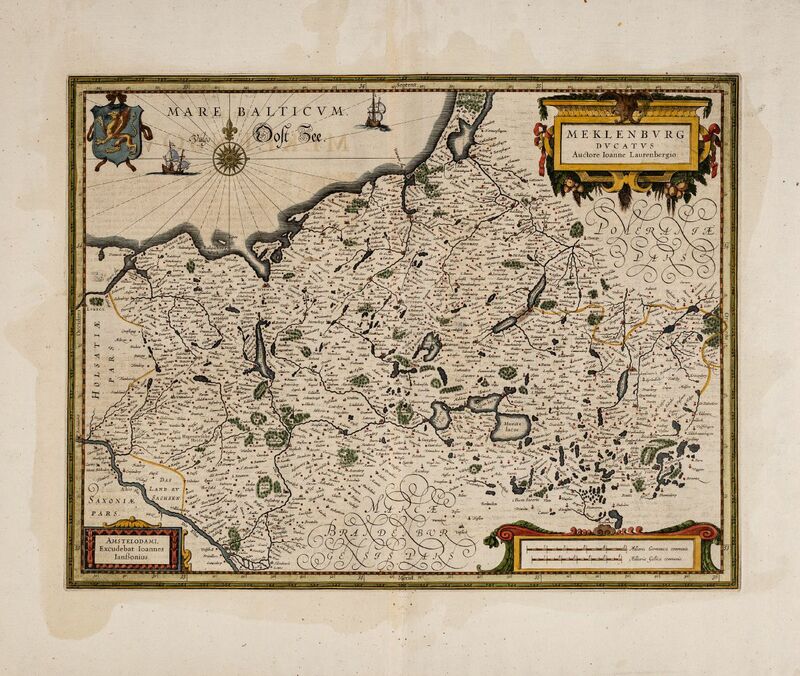 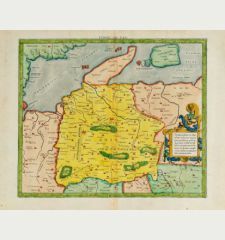 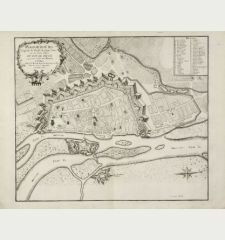 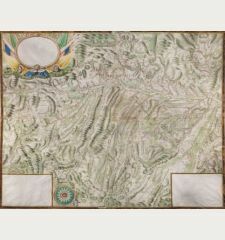 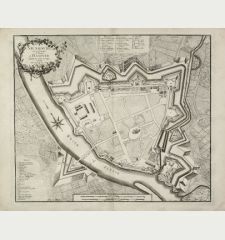 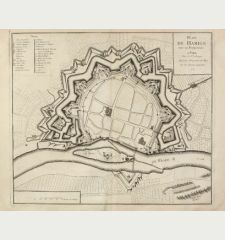 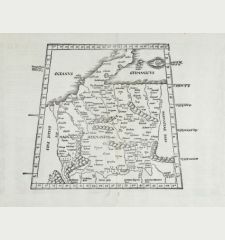 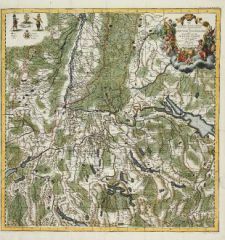 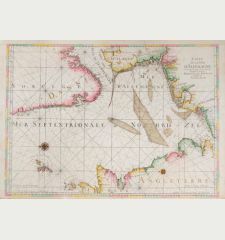 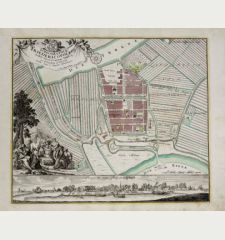 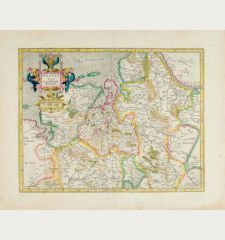 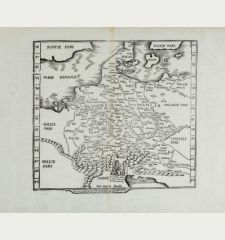 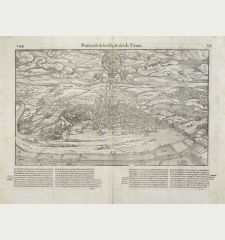 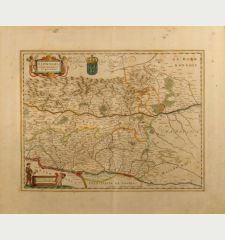 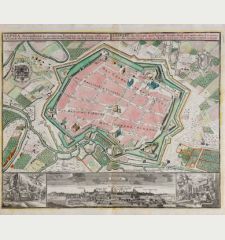 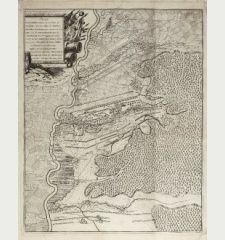 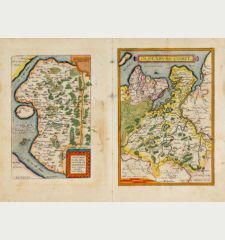 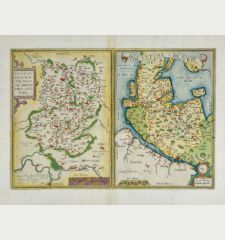 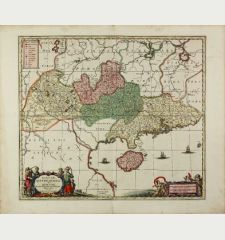 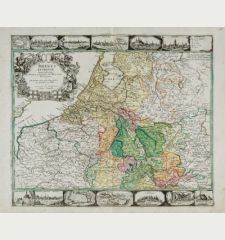 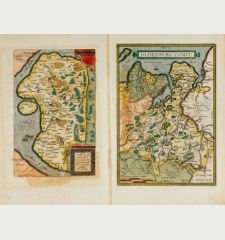 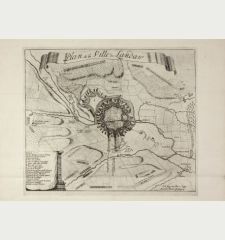 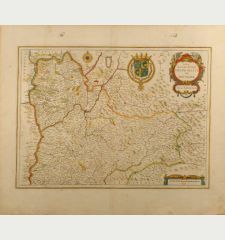 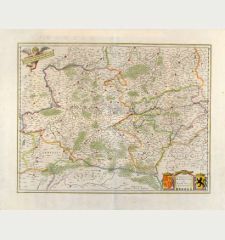 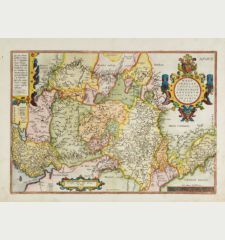 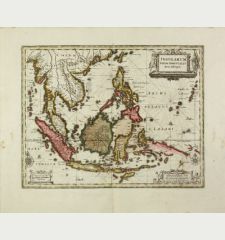 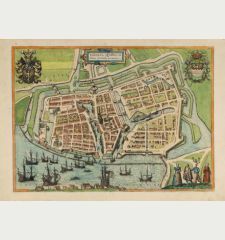 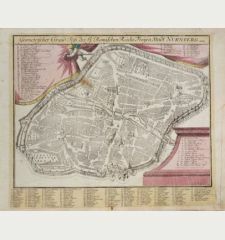 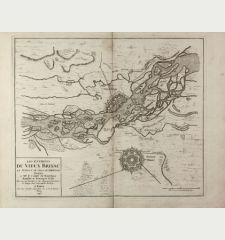 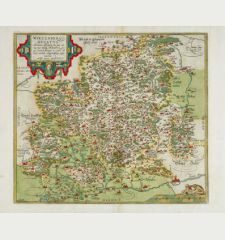 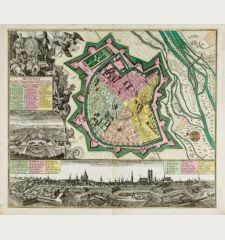 Antique map of Northern Germany by J. Janssonius. 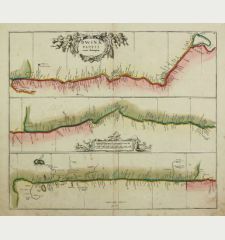 Showing Mecklenburg-Vorpommern with the Baltic Sea coast from Lübeck via Rostock to Ribnitz-Damgarten. 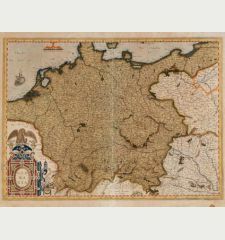 In the southwest the Elbe river from Lauenburg to Dömitz, in the east to Friedland and Neubrandenburg. 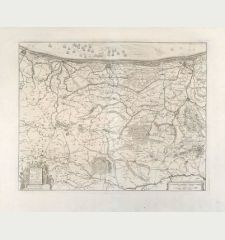 With Schwerin, Waren and Teterow. 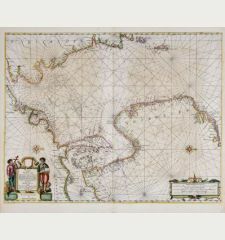 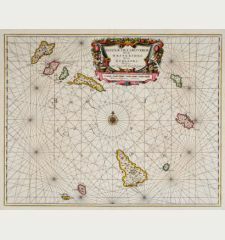 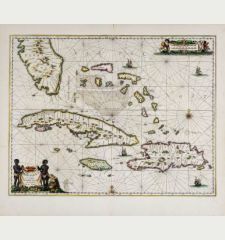 Decorated with three beautiful cartouches, two sailing ships, a compass rose and a coat of arms. 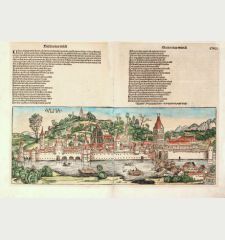 French text on verso.